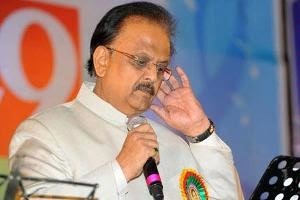 Veteran singer, SP Balasubramaniam's fundraising concert, to help the Hudhud cyclone victims, in Chittoor got a phenomenal response from the audience recently. More than 15 thousand people came to attend the concert and even more staggering is the fact that nearly Rs 2 crores was collected at the event. SP Balu was invited by Telugu Desam Party's MLA, Smt.Satyaprabha Aadikesavulu Naidu and along with SPB, several other singers like his sisters - Sailaja and Vasantha, his son Charan and singers from Paaduthaa Theeyaga, a reality show hosted by SPB - Sai Charan, Rohith, Tejaswini, and Harini Ivaturi performed on stage. Incidentally, on the same date (November 30), the Telugu film industry's Memu Saitam, a 12 hour Telethon, generated Rs 11.5 crores for the Hudhud cyclone victims.